Dice PEI seasonal fruits of your choice (strawberries, pears, raspberries, plums, apples). Soak fruit in Myriad View Distillery Strait Shine® for 24 hours. 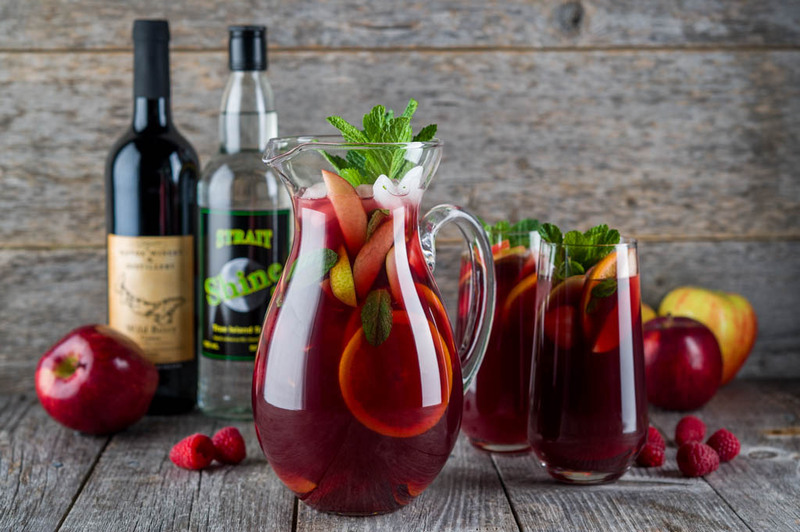 Mix Myriad View Distillery Strait Shine® infused fruit with remaining ingredients in a serving pitcher.